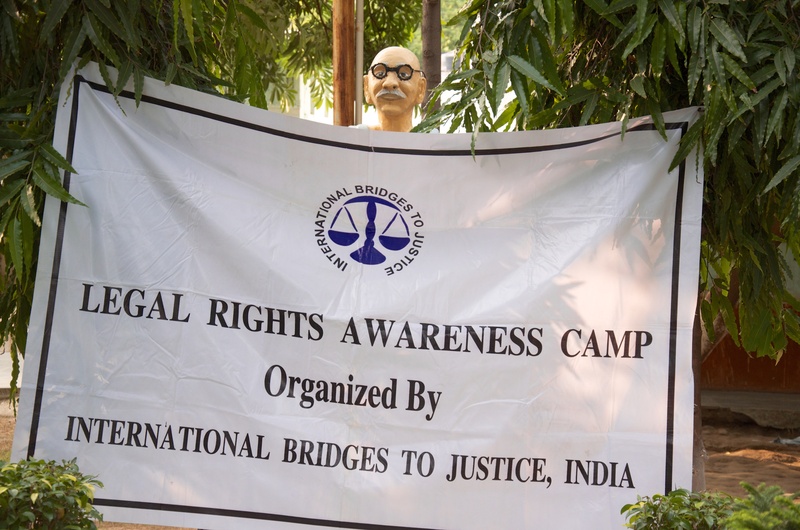 On Saturday 31st August, IBJ India conducted yet another successful legal awareness event in New Delhi’s Central Jail No.4 at Tihar Jail housing mostly undertrial prisoners. The purpose of the event was to raise awareness among the inmates on the following topics: effective legal representation, the importance of effective communication with lawyers, plea bargaining and bail. Approximately 400 inmates from the newcomer wards attended the event. IBJ`s team was comprised of Mr. Avi Singh Advocate, Supreme Court of India, Mr. Ajay Verma, Advocate (IBJ Fellow in India) and IBJ’s Duty Lawyers working in Tihar Prison Mr. Ajay Raghav, Advocate and Shiv Kumar Dwivedi, which took active sessions during the awareness event. Mr. Ajay Verma gave a short introduction on the selected topics. Mr. Avi Singh, Advocate discussed bail provisions and under what circumstances normally court exercise its discretion to grant bail in non-bailable case. During the session some of the poor inmates mentioned that though the Hon’ble court has granted them bail but they are unable to go out because they can’t furnish surety bond as no one comes to meet them and no one is there to stand surety for them. Avi Singh’s session was followed by Mr. Ajay Verma’s talk on importance of effective communication with Lawyers. Most of the inmates realized that they don’t event talk to their lawyers, as they believe that the Lawyers would only be interested reading their documents. There were many inmates who did not have lawyers and asked IBJ India’s help in providing Lawyer. Mr. Ajay Raghav and Mr. Shiv Kumar Dwedi, Advocates volunteered to take their case. After the session the most inmates contributed by asking and sharing problem and sought possible remedies about their cases, and in this way the communication went both ways. In fact, Around 30 people claimed that they had been falsely implicated. In India there is a big need to inform prisoners of their legal rights, for instance there are many inmates not even aware about their right to free legal representation. The lack of effective representation is a huge problem in India. In the event, some time was devoted to talk about bail and speedy trials, and it became clear that 50-60 people were in need of legal assistance. Despite the fact that a lot remains to be done, the event held on 31st August was very successful. 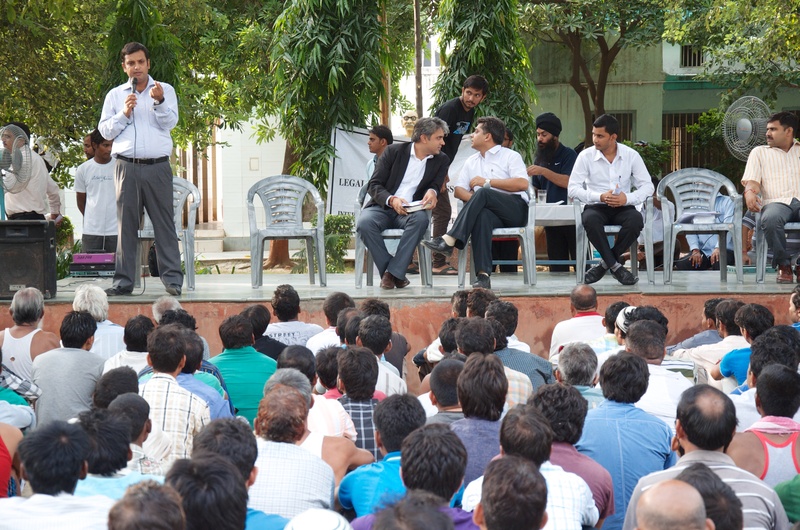 To educate inmates about their rights is an important part of IBJ India’s mandate to spread legal awareness in Prisons. The Most rewarding experience for the team was that the Superintendent (In charge of Prison) asked to visit another ward to have another interactive session. Though the team was very happy to visit another ward however due to paucity of time it had to be concluded early. IBJ would again organize another Legal Awareness camp in the same prison. In fact, the prison authorities requested IBJ to continue with these types of events. There are no doubts that the event was another small but important step on the road towards strengthening the legal justice in India.